In the Spring and Autumn Period, duke Ling of state Jin was a tyrant who indulged himself in a carefree or voluptuous way of life. One year, he ordered his people to build a nine-level viewing platform for him. Many his faithful ministers dissuaded him from this crazy idea, which only infuriated him. He declared the next person to criticize the tower to be killed. 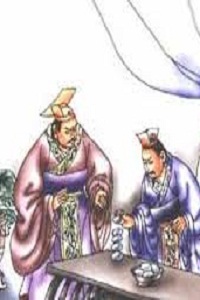 One of his ministers Xun Xi, hearing of this, immediately went to see the duke with a petition. When he saw the duke, an archer was holding a bow and arrow; if anything was said about the building he would be shot. Instead, cheerfully, Xun Xi said "I've come today to demonstrate a little skill of mine; I can pile nine duck eggs on top of a stack of twelve chessmen." Duke Ling, with surprise, ordered the armed men to retreat to make room for Xun Xi who began to place the chessmen on the floor at first, and then went on to putting eggs on top. When he was putting the last one on the pile, the king could not help exclaiming, "Careful, it is too dangerous!" 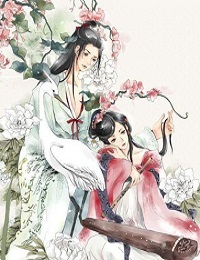 Xun Xi took advantage of the occasion and said: "No, there are many things more dangerous than this. In order to build a nine-level viewing platform, our national treasury has been emptied and there is no one left to cultivate the land or weave cloth. Neighboring countries are planning to attack us, and we have no way to protect ourselves." Duke Ling was deeply moved, and issued an order to cease construction of the platform. Now this idiom is used to refer to a dangerous situation.